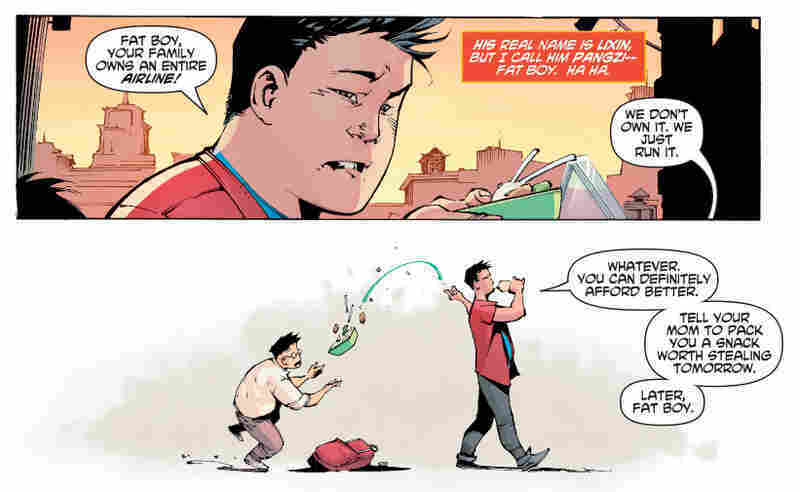 Diversity Drives The Story In The Latest Incarnation Of Superman If you've been in a comics store lately, you've noticed the increasing diversity on the shelves: a biracial Spiderman, a Muslim Ms. Marvel, and today, a Chinese man takes up the mantle of Superman. 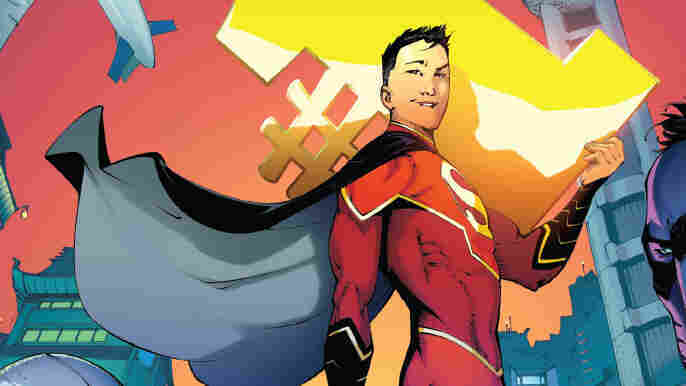 Kong Kenan, who's Chinese, takes up the mantle of Superman in New Super-Man #1, written by Gene Yang. If you've stepped foot in a comic book store in the past few years, you'll have noticed a distinct shift. Superheroes, once almost entirely white men, have become more diverse. There's been a biracial Spider-Man, a Muslim Ms. Marvel, and just last week, Marvel announced that the new Iron Man will be a teenage African-American girl. Joining this lineup today is Kong Kenan, a Chinese boy who, as part of a reboot of the DC comics universe, is one of four characters taking up Superman's mantle. "Kong Kenan inherits some of Clark Kent's powers," says Gene Yang. He's one of the writers on DC's New Super-Man. "These powers will change him; they'll change him both physically and morally." Superheroes in general and Superman in particular is so American — you know, Superman's supposed to fight for truth, justice, and the American way, We wanted to take these values and stick them into a different cultural context. So we want to show how some of these things that define the original Superman might be particular to American culture and some things might be universal. I think there's this tension that sits right in the middle of the superhero genre. It's a tension between nostalgia and the future. Superheroes from the beginning have been about the future — you know, Superman, the first superhero, is known as the Man of Tomorrow — but at the same time, so much of the appeal of superheroes is nostalgia. You know, I feel it. I grew up reading superhero comics, so I definitely feel an attachment to these characters I grew up with. And they're largely white, heterosexual males. Yes, absolutely. I think about it now as an adult, and I wonder if one of the reasons I was drawn to superheroes is because of this double life that a lot of them lead, like Clark Kent is also Superman, and he actually is negotiating between two different cultures, he's negotiating between American culture and Kryptonian culture. And I think in a lot of ways that kind of mirrored the reality I was living in. So even though they didn't necessarily look like me, I felt there was something about that duality they were living that reflected my reality. We've gotten a little bit online — but I definitely think we've gotten a lot more support than we have backlash. Some folks are a little bit cynical about the current push towards diversity. And I could see that if you were doing diversity for the sake of diversity. But if you're using diversity for the sake of story, I think that's a really valid, craft-driven reason. These are not after-school specials, you know what I mean? They're just authentic reflections of a three-dimensional character.